started reading again | escaped. It's been a while since I last spent some time...reading. In Japan, it was hard to spend time on leisure books as my engineering degree needed more attention. So before coming back to Malaysia for good, I sold off some of my books I knew I didn't need anymore. Started working, got married, got knocked up, gave birth to an adorable baby boy - I managed to start over my book collection again in between, but it was hardly a match against what the collection used to be. But then I realized, it's a matter of quality, over quantity. I know time is so precious nowadays so I can't afford to read nonsense anymore - if I really want to read, it's gotta be worthwhile. 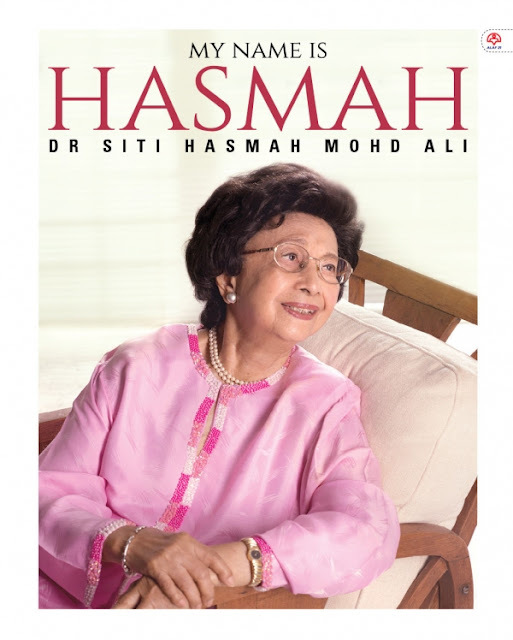 Hence the recent purchase of two books - Harry Potter And The Cursed Child, and My Name Is Hasmah, a biography book of the former first lady of Malaysia. JK Rowling came out with a new book for Harry Potter series, and it's a given that we'd get it immediately when it's out - both of us, we used to cycle to my university's coop during one of his visits to Hiroshima just to get our hands on the latest Harry Potter book. It was back in 2009; and its sixth book had just hit the stores in Japan. SO NERDY T.T But we mostly bonded that way; sharing our interest in reading. In fact, he wasn't that into books until I influenced him haha. But it was him who influenced me into reading biography. I wouldn't have considered buying the Tun SIti Hasmah book (politics and me doesn't blend) but he wouldn't stop telling me stories about Tun Mahathir, his long-time idol that I just had to get the book. Thought of it as a present to him; while I can read it too since we share a household now lol. Shahrul was against the book at first. "It's not a real book in the HP series, it's a stage play, YOU KNOW THAT RIGHT?" He says. Of course I knew, but of course I had to get it. 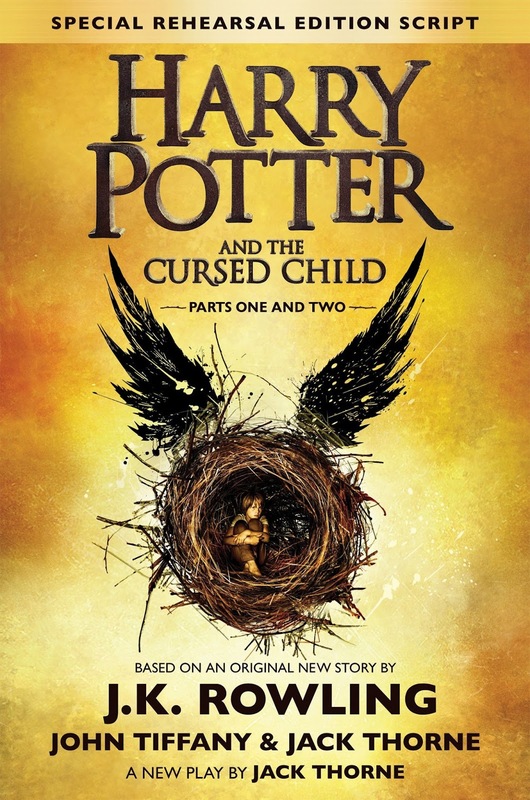 Who wouldn't want to know what happens to Harry Potter 20 years later? And bearing children with Ginny? But if you ever had any doubt about buying the book, don't fret. The play script is as much as a book to me - the scenes were well elaborated, the feelings were well conveyed - just like any other HP book. Just that this book will take maybe 70% less time to read due to its simplicity. Finished the book in 2 days. Love it! Just like the other HP books. The book is divided into several chapters - to introduce Tun as doctor, advocate, daughter, sister, wife, and mother - and how she goes through the chapters of her life, marked by several important events. It was refreshing to get to know that side of our beloved former first lady as she hardly appears in any controversy; so our knowledge about her and her relationship with Tun Mahathir isn't much. Got to know a different side of Tun Mahathir too. I'd say Shahrul is pretty happy with the purchase. (He owns several biography books of Tun Mahathir) And since the book was released early this year, Tun Siti Hasmah also penned down her own thoughts about the current politics scenario in Malaysia, which to me is pretty interesting. She's 90 years old this year. And it's inspiring to know she's lived a fulfilled life; and still is as strong-willed of a woman she was when she was younger. Now I'm putting it as one of my #lifegoals to meet her in person. Ahh. Feels really good to read good books.